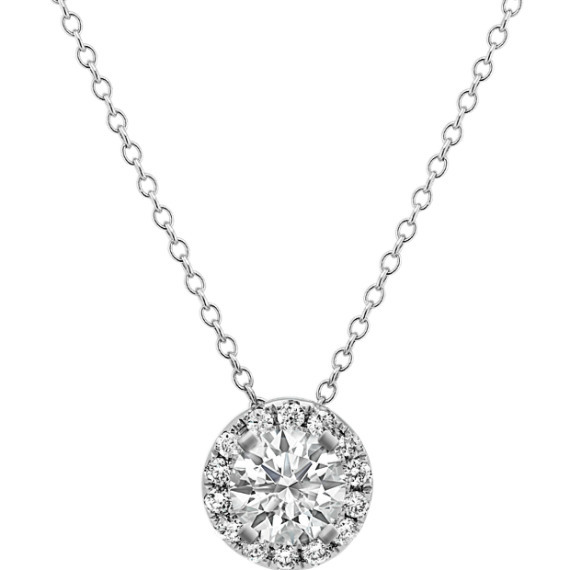 Diamond Round Halo Pendant (22 in.) | Shane Co.
Crafted from quality 14 karat white gold, 14 brilliant round diamonds, at approximately .12 carat total weight, serve as a beautiful backdrop to the center gemstone of your choice at approximately .50 carat. This halo pendant design measures 1/3 of an inch wide and hangs from a 22-inch adjustable matching cable chain. Please contact a customer service representative for additional information or questions regarding your center stone selection.